One of the worst things that could happen to any home is to be ravaged by a severe storm. Not only are storms unpredictable, they can also bring massive destruction and affect people’s lives after. In our 25 years in the roofing and home improvement industry, we have helped countless numbers of homeowners rebuild their damaged houses through our comprehensive storm damage repair in Indianapolis. Insurance claims for storm damage can often times become a headache for homeowners, considering all the paperwork they involve. Here at Moss Roofing, we take away that headache from our clients by dealing with the intricacies. We have former insurance adjusters working in our team, which enables us to handle storm damage claims faster and more efficiently. We also use the software Xactimate, which will help us itemize your losses accurately. Here at Moss Roofing, we work for you, and NOT the insurance company. Once all the documentations concerning your insurance claim have been ironed out, then it’s time for us to get right into the heart of the matter – the repairs. Storm damage can be so extensive that different parts of the house are oftentimes affected, especially when the storm is so strong. 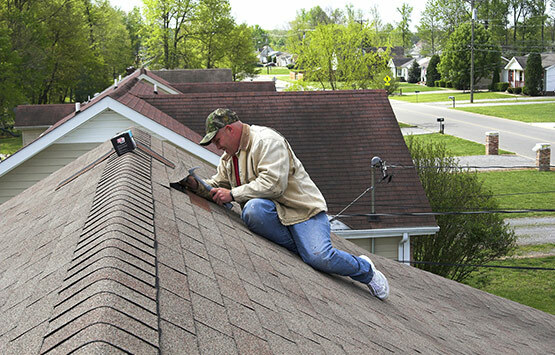 We perform quality repairs for different kinds of roofing systems such as asphalt, tile, cedar, and slate, to name a few. We also repair siding that have been damaged by debris and restore their old condition. We also repair and replace windows, if they have been severely damaged. Moreover, we will get your gutters back in excellent shape to ensure that rainfall will again flow away from your house, keeping your home’s structural integrity protected. In addition, we will perform the necessary cleanup by taking away all of the leaves, twigs, and other debris that were scattered all over your property. Roofs and gutters that have been damaged by storm require quick and immediate attention without compromising quality. Call us today at (317) 784-3227 to learn more about our storm damage repair services. You can also fill out our contact form and request for a free estimate. Experience top-notch repairs done the right way, today!